Denison has played Andy Flynn since the pilot episode of the series The Closer and took the character to the Major Crimes series. During his time playing the character, Tony has become a fan favorite and even has his own group of fans known as the Flynn Girls. The veteran actor sits down with us to discuss where Andy Flynn is in his life at the beginning of Season 6, what fans can look forward to with the final season of the series and what he would like to say to the fans of The Closer and Major Crimes. Pop Culture Principle – Although benched, Lt. Flynn was a major part in the apprehension of Christian Ortiz. How important was it to him to be involved with the arrest? Tony Denison – It was very important to James Duff. He wanted that to happen because he wove the story in such a way that because Flynn was the one who was stuck at the office most of the time, he was the one guy that Ortiz didn’t know and he could sneak up on him and he had no intelligence on Flynn based on him spying on us. So, that’s why it worked out that way and it made the element of surprise totally plausible. Pop Culture Principle – In the Season 6 opener, is Lt. Flynn still benched from field duty? Tony Denison – No, he’s not benched. He is a little more active in Season 6 because there is so much going on. Pop Culture Principle – The relationship between Andy and Sharon took another step forward with their engagement? Will we see a marriage this season and will that bring its own set of challenges? Tony Denison – We do get married in either episode four or five. The fans won’t be disappointed because Mary looks magnificent walking down the aisle. This season is going to be a rollercoaster ride not only for the season but possibly for Andy and Sharon. You’ll have to tune in and see! 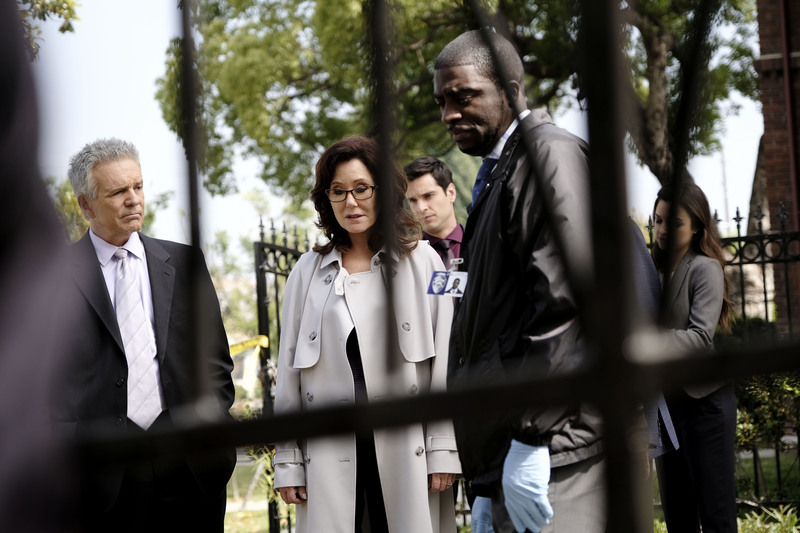 Pop Culture Principle – Can you tell us about the first case for Major Crimes in the beginning of the sixth season? Tony Denison – It’s a really interesting story in how they were trying to be delinquents and have fun and it winds up being a really incredible situation for the three boys. 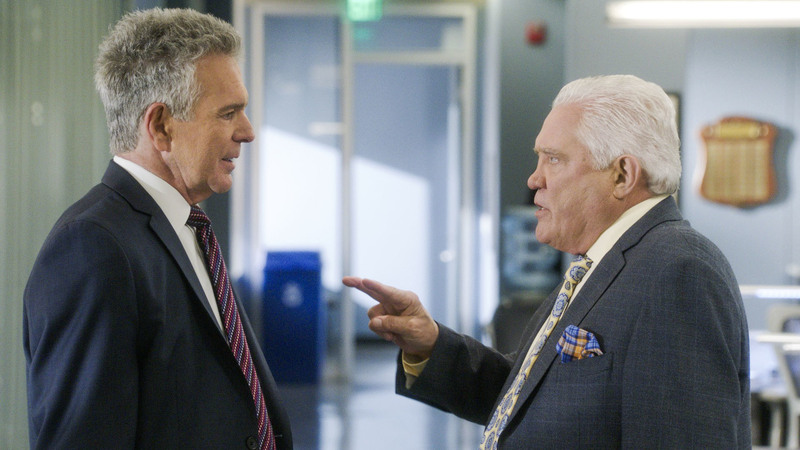 You’ll see in the first episode, Provenza asks why is this case a major crime and Chief Mason tells him that if three white boys went missing at a private school, that would be a major crime, but since they are three Latino boys from a Catholic school in a less than stellar neighborhood, the case is looked at differently. I thought that was a fantastic line and scene in the episode. Pop Culture Principle – The format for the sixth season has changed to entirely multi-episode arcs. As an actor, have you enjoyed that change in structure to the series? Tony Denison – What is good about the multi-episode arcs is that it allows the series to show more of the characters personal lives. With the one-episode stories, you have to show the crime, show us work the crime, bring in a suspect and that’s it. There is very little time for Andy and Sharon to be at the condo talking or Provenza and his wife at home. Now, with the multi-episode arcs, it now allows the stress that’s going on with the case to follow them home and see how they deal with the stress of the cases they are working and I think that’s a nice angle. Pop Culture Principle – We will also see the return of Phillip Stroh. Is there anything you can tell us about his return in Season 6? 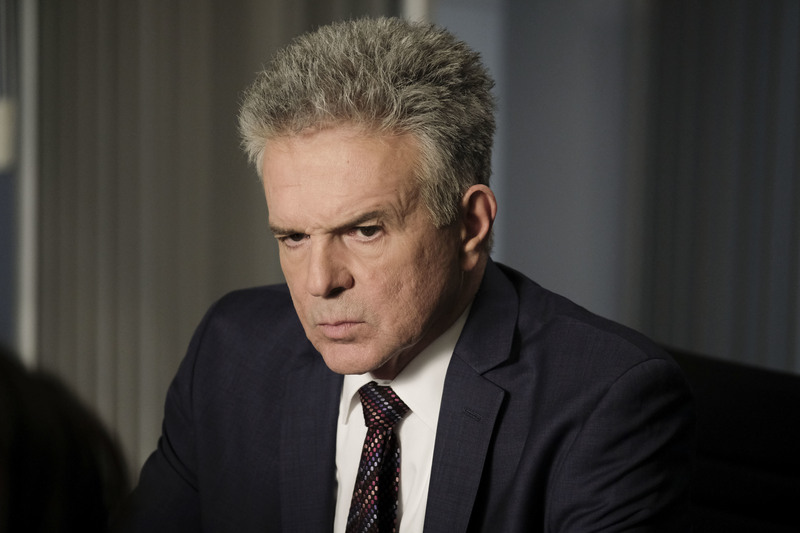 Tony Denison – Well, as always, it’s going to be incredibly intense. Billy Burke was available and we were glad to get him back. The last multi-episode arc is four episodes and all I can say is that it’s going to be incredible. Pop Culture Principle – Do you think the fact Flynn getting married and the fact that he’s had several health scares, that he may think about staying away from the field permanently or is that something that’s just in him? Tony Denison - No. We had talked a couple of times about doing a spinoff show with Provenza and Flynn who would become retired detectives and maybe do some moonlighting work or consulting on a television series. There was a possibility that those two characters would go off and do something like that, but it never materialized. Who knows, if the show winds up with a new life somewhere, it’s totally possible that could happen. Pop Culture Principle – In the sixth season, we have a new character Camila Paige added to the squad played by Jessica Meraz. Can you talk a little about her joining the cast? Tony Denison – She’s great. She’s been an absolute gem of an addition to the show. Her character is right there and really adds another dimension to the team. She’s one of these actresses that no matter how long Major Crimes lasts, if we don’t have another life, she will end up in another series right away. She has star quality. Pop Culture Principle – It was recently announced that the sixth season of Major Crimes will be the final season. When did you find out the news and what were your initial thoughts? Tony Denison – You know, I guess we found out collectively sometime around July because the writing staff’s contracts were all up in July. So, if they wanted to continue beyond July, they would have to continue those contracts and that didn’t happen. So, because that didn’t happen, we kind of got the feeling that this would be it, but no one was saying anything. They then finally said that this was the last season for Major Crimes and you know, that’s just the way it goes. Although we don’t truly understand why the show’s being canceled, it was Kevin Reilly’s decision. Pop Culture Principle – Do you feel there is a chance the series may move to another network or platform or do you think the show has reached its end? Tony Denison – Obviously, there have been instances where shows have been picked up after being canceled. You can go back as far as Designing Women back in the day and look at Longmire, which was picked up by Netflix. There is always the possibility that a show can get a second life, certainly if the fans support it. With our show, our fans are pretty damn loyal. We’ve increased in viewers since The Closer. I look at it this way, they really have nothing to lose. It’s not like we are telling them that hey, you don’t want a show that averages around ten million viewers an episode? If that becomes enticing to someone else, you never know. Pop Culture Principle – The series Major Crimes has had some of the most loyal and dedicated fans. 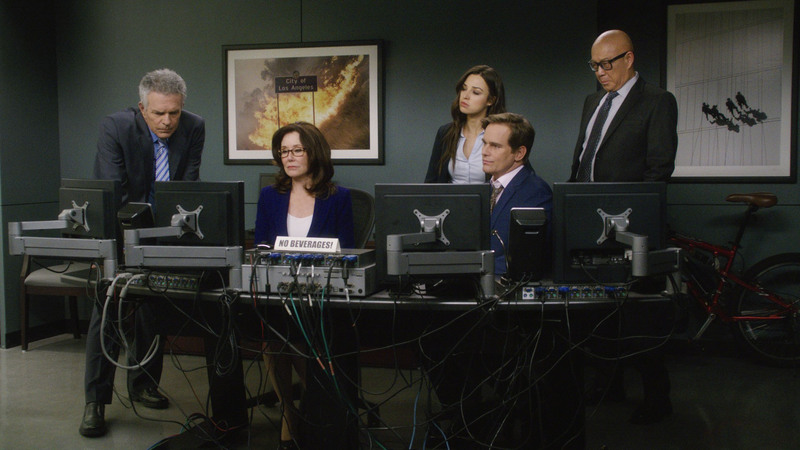 What would you like to say to the fans who have supported not only Major Crimes but The Closer as well? Tony Denison – We have the Flynn Girls and the Shandy fans. The Flynn girls are incredible. They recently raised some money for the Sunshine Kids, which is a charity supported by GW Bailey, in honor my birthday. They overwhelm me all the time and I really mean that. I don’t take for granted, nor do I not totally appreciate their existence. I’ve never had that before. I mean, I’ve been popular on shows before, but not like this. It is truly incredible and I am so grateful for the Major Crimes fans. Pop Culture Principle – You’ve played Lt. Flynn for almost thirteen seasons. What has this character meant to you personally and professionally? Tony Denison – In my career, I’ve mostly played gangster-type characters, but I’ve had the opportunity to play cops as well. This is the first time I’ve got the chance to live in a guy’s skin for that long a period of time and to not only look at the world the way I do, but also through the lens of Andy Flynn. It’s been rewarding and exciting for me. I’ve always appreciated what cops do as a profession. If you are somewhere dark at night in the middle of nowhere and all of a sudden, you see the blue and red bubble top, you know it’s the cops and everything is going to be ok. I like being able to be supportive of the police through this character. 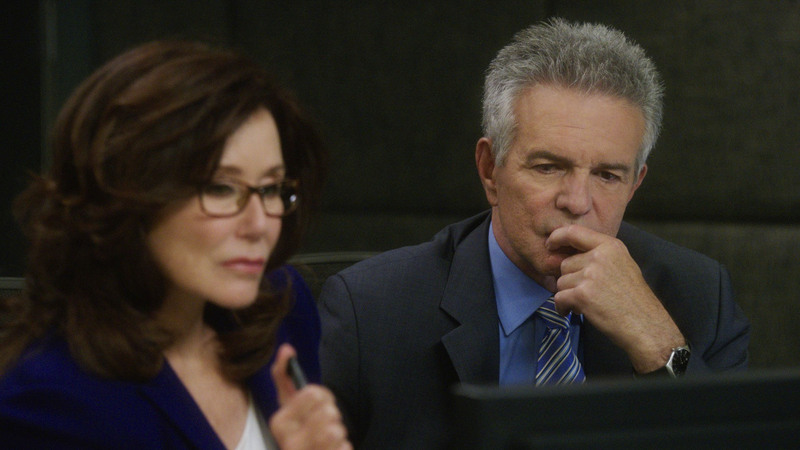 A big thank you to Tony Denison for talking with us about The Closer and Major Crimes. Don't forget, the final season of Major Crimes begins on Tuesday, October 31st at 9/8c only on TNT. You can keep up with all of Tony's latest news and projects by liking his official Facebook page here and follow his offical Twitter account @RealTonyDenison. MAJOR CRIMES WEEK: Contest Winners!MAJOR CRIMES WEEK - Giveaway!